Pretty much everybody knows someone who is pregnant or currently has a baby, which is why your business should seriously consider custom promotional baby bibs. 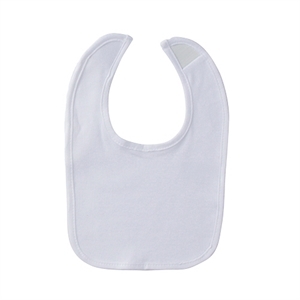 Even if your recipients are not expecting themselves, they will easily find someone to pass your logo imprinted baby bibs onto. 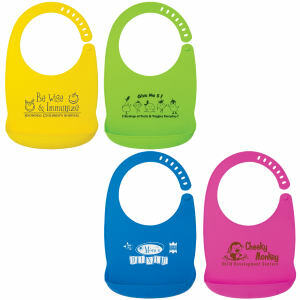 Babies especially need help staying clean, and our custom printed bibs will keep them clean when food turns into a toy. 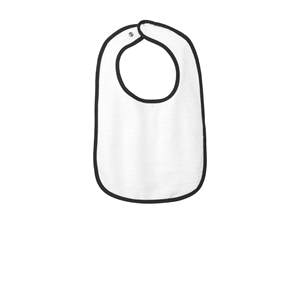 Plus, our adorable styles of customized baby bibs will look even cuter on babies, and no one can resist cooing over baby. Everyone will notice your logo on custom bib bedecked babies. 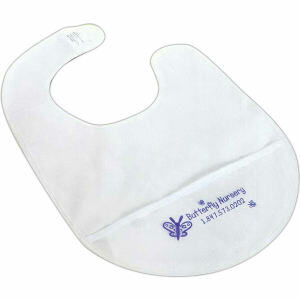 All of the custom promotional baby bibs at IASpromotes.com are cute as a button, and will portray your organization in a positive light. 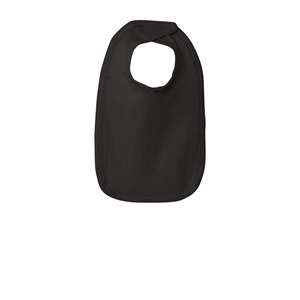 Our large selection of customized bibs contains a variety of styles, sizes and colors, and these baby items are easily personalized with your imprinted corporate logo and company name.